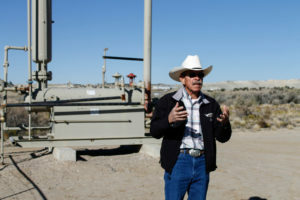 In mid-May, we were approached by long time rancher, environmental advocate, and San Juan Citizens Alliance member, Don Schreiber, who discovered that Hilcorp Energy Company was trying to get exemptions from laws that restrict the number of wells they can drill in Rio Arriba and San Juan counties. We were immediately concerned about the filing’s vague implications and set out alongside the Schreibers and our allies at the Oil and Gas Accountability Project to figure out what was at stake in Hilcorp’s application. In our digging, we discovered Hilcorp was trying not only to get around laws, but also to cut public input out of the process. Currently, Hilcorp is allowed to drill four wells every 320 acres in the Blanco-Mesaverde gas “pool,” where they currently produce from 5,329 oil wells. But they want to waive that rule in order to drill wells even closer together. Hilcorp wants to drill more wells than they’re allowed to, so first they must file an application with the New Mexico Oil Conservation Division (NMOCD) and present it at a public hearing for public comment. Exemptions to well density rules can result in major impacts to the landscape, air quality, wildlife, and people who live in northwestern New Mexico. Since 2017, the NMOCD has approved over 30 applications granting Hilcorp an exception to well density requirements, and they have ten more pending. This time, however, Hilcorp not only applied for the right to drill more wells per section of land, they also tried to cut the public out of the decision-making process. Hilcorp asked the NMOCD to allow them to skip over the public hearing process through which decisions about well spacing are normally made. Instead, Hilcorp proposed, this decision could be left solely to an NMOCD employee in the local office in Aztec. And yet, Hilcorp did not even do its due diligence to inform landowners and residents in San Juan and Rio Arriba counties who would be impacted by this proposal. The cryptic legal notice that the company filled in local newspapers did not specify the geographical locations that would be affected, and nor did the company reach out to landowners personally. Tellingly, however, Hilcorp did share its proposal with all oil and gas operators in northwestern New Mexico. Members of the public should always be afforded the opportunity to weigh in on public land decisions that affect our collective well-being. The environmental and public health implications of increasing drilling density in the San Juan Basin are enormous, and the public should not be left out of that decision. Don Schreiber on one of SJCA’s Oil and Gas field tours. 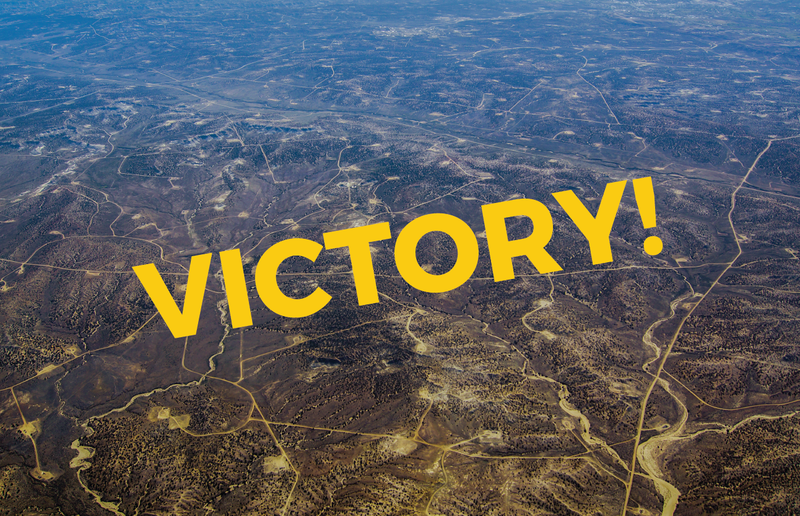 We, along with the Schreibers, and our partners at the Oil and Gas Accountability Project, filed motions with the NMOCD, asking them to defer hearing this case for one month. Postponing the hearing would have allowed us the time needed to learn about the case, collect evidence to present, and spread the word about what was happening. In response, Hilcorp asked the NMOCD to exclude all interventions from San Juan Citizens Alliance and our allies, claiming that we lacked standing. But then, the New Mexico Office of the Attorney General caught wind of the case. “The Office of the Attorney General is monitoring this issue and will always take appropriate action to ensure that government agencies and processes are transparent and open to the public,” they said. Next thing we knew, Hilcorp withdrew their application! We can only assume that this withdrawal was due to the pressure that we, along with our allies, mounted against Hilcorp. For now, case closed. A temporary victory! In the San Juan Basin, where most lands are already leased for oil and gas development, it is crucial to have watchdogs on the ground, doing their best to make sure that operators comply with regulations to protect air, land, and water, and that they don’t try to cut the public out of decisions about our environment. As Hilcorp comes back to the NMOCD, month after month, with applications for exceptions we promise to keep vigilant watch and oppose them. Thank you for explaining what Hilcorp was/is up to. I read the numerous Hilcorp ads in the Farmington Daily Times but could not determine exactly what was being proposed. Thank you for being vigilant.